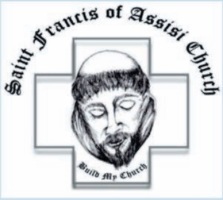 As required by Canon Law and Diocesan policy, St. Francis of Assisi Church has a Parish Finance Council, comprising the Pastor and six parishioners. Its role is advisory and consultative to the Pastor. The Council meets quarterly to review the parish accounts. The members help in the formulation of the annual financial budget. They also take an interest in ensuring the proper maintenance of the parish property, and assist in planning. Members are appointed by the Pastor, and serve a term that may be renewed. One member of the Parish Pastoral Council acts as a liaison between the Parish Pastoral Council and the Parish Finance Council, and is therefore a member of both Councils.